The basic concepts of retail have not changed for thousands of years, providing merchandise and services to consumers at a desired price. What has changed is the growing size and complexity of a modern retail business. The larger the retailer, the more complex the business becomes to manage. Marketing, buying and merchandising decisions are no longer made by store line personnel. Distance grows between these decision makers and the end consumer. Store management focuses on running the stores and becomes less involved in procurement. Effective gathering of data and analysis of a variety of KPIs is crucial for the retailer’s success. KPIs are vital indicators of the health of a retail business and understanding what they represent and how to manipulate them can mean success or failure. Speed and knowledge are key in today’s market. Access to data, the right data is imperative to keep ahead of the competition. Knowing what to look for and how to get it can help your company thrive. • explain their use in the routine management processes of the business. 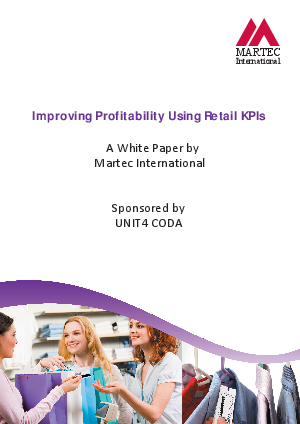 For senior retail management, this paper will serve as a valuable reference to identify potential actions to improve KPIs whenever necessary.